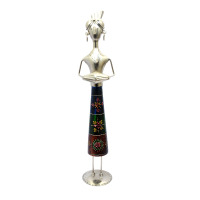 This musician crafted in wood n metal will make any room that it adorns look classy and stylish in an elegant manner. 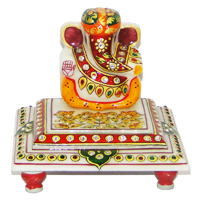 The designer elephant figure in metal and wood can make any side table it adorns to be the centerpiece of attraction. 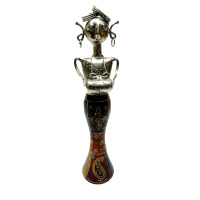 The musician crafted with a combination of wood n metal is ideal for lending an artistic touch to any household. 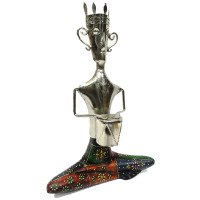 This seated musician figure in wood n metal is ideal for becoming the statement piece in any living room. The fundamental value of crafts lies in their opposition to mass-production methods. We need the latter to produce items cheaply and quickly, but unless we want to become people who know the price of everything but the value of nothing, we also need the aesthetic benefits which come from individually designed items - such as a hand-made scarf, a beautiful chair, carpet or dish. A society without beauty is soulless, as George Orwell has vividly described in works like "1984". 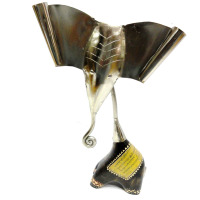 Promoting crafts is one way to retain the type of artistic skills needed to make life more visually pleasing. 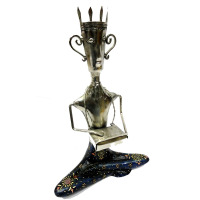 A showpiece is the most attractive or best thing to be shown. 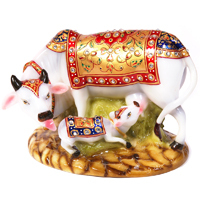 The showpiece is the excellent or outstanding example of traditions and cultures. Some people are born with a great eye for decorating or design. Others learn the skill and can apply it successfully. 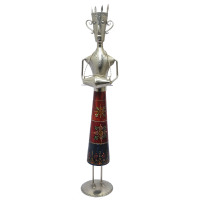 Home accessories, as movable decorations or different showpieces, reflect the owner's taste and create a personal atmosphere where they are placed. 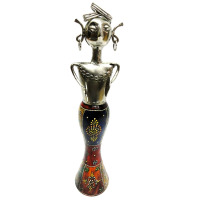 These items can break the boundaries of traditional decoration industry, using handicrafts, textiles, collectibles, and things such as lamps, floral items, and plants re-combined to form a new concept of harmony. Showpieces vary according to size and shape of room space, the owner's living habits, hobbies, tastes, and their economic situation. 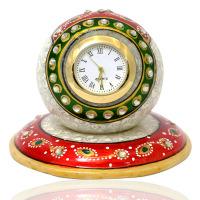 Handicraft home decor products are abundant in a craft rich country like India. 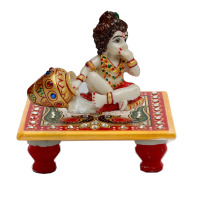 Clay showpiece handicraft is supposed to be one of the most ancient forms of handicrafts in India. 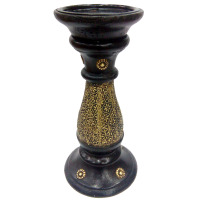 There are multiple types of clay pottery – terracotta, red, black and grey pottery. 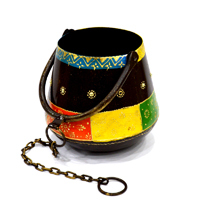 Uttar Pradesh and the Northeast are known for their painted black wares. 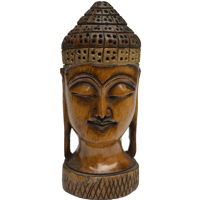 Besides this, Krishnanagar in West Bengal, Bikaner, Lucknow, Pune and Himachal Pradesh also make home decor products made of clay. 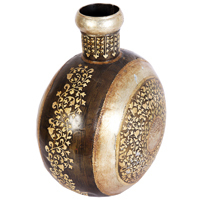 Brass showpiece handicrafts provide a durable and sturdy decor option. 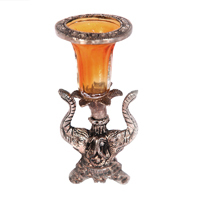 There are so many brass handicrafts and show pieces made, like vases, table tops, wall art, lamps, ornament boxes, plates, bowls, and figurines. 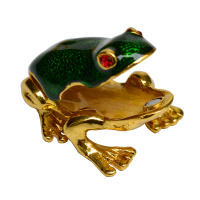 A lot of brass products are used for gifting purposes during the festive season. 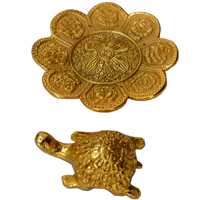 The manufacturing of brass ware is mainly done in Rajasthan. 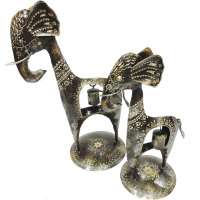 Dhokra, one of the oldest forms of handicraft is common in Madhya Pradesh, West Bengal, Bihar, and Orissa. 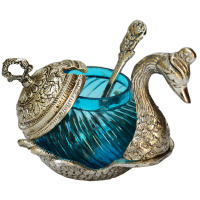 Dhokra jewellery, candle stands, pen stands, ash trays, horses, elephants, peacocks, owls, religious images, measuring bowls and other show pieces are available at most of the art and craft fairs across the country. 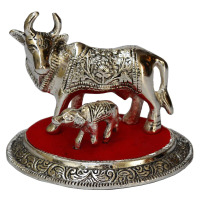 Dhokra cast metal and ironware looks beautiful in any corner of your home or office. Jute is one of the most affordable natural fibres. 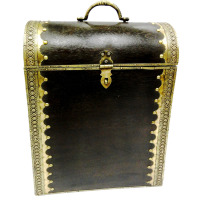 There is a huge range of jute showpiece products which includes bags, rugs, lamps, tables, office stationeries, jewellery, footwear, wall-hangings and much more. West Bengal, Assam, and Bihar being the leading jute showpiece producers, lead the jute handicrafts market in India. Jute products are eco-friendly and offer a natural, green way to do up the house. 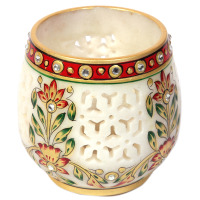 Shells make for beautiful showpiece handicrafts. 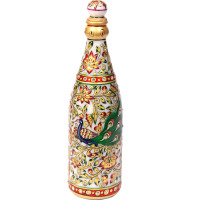 Shell art is the art of making decorative objects using just shells or shells and rocks. 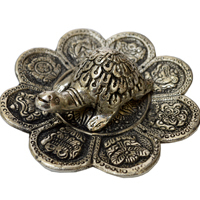 Shell Handicrafts can be made out of three types of shells – conch shell, tortoise shell and sea shell to make your home or work place look presentable. 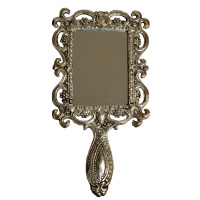 Mirror work embroidery involves attaching small pieces of mirror to fabric, wood or metal. 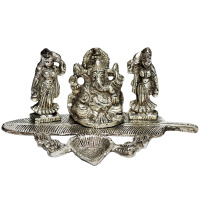 A variety of decor products are made using this craft, such as cushion covers, bedspreads, wall art, pen stands, trays etc. 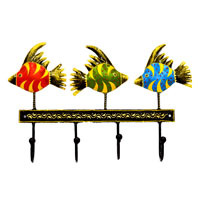 Mirror work products make for bright and warm products. In parts of Rajasthan, Haryana, Madhya Pradesh and Gujarat, torans or door hangings made using shisha work are supposed to ward off bad luck or evil eyes. 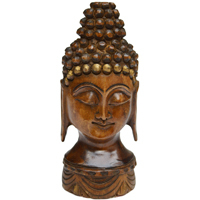 The wood craft was prevalent in India even before stone sculpture came into existence. 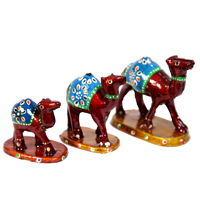 Rajasthan, Gujarat, Jammu & Kashmir, Karnataka, Kerala and Uttar Pradesh are known for their unique form of woodwork. 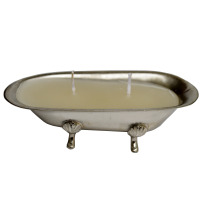 Lamp shades, candle stands, Vermillion boxes, jewellery boxes, bangle holders etc. 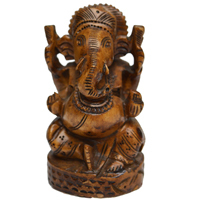 are some of the typical wood crafts used in almost every Indian house. 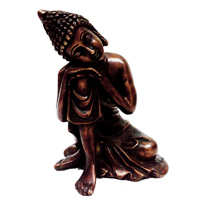 Carved wood furniture is a treasured furniture item in a lot of homes. 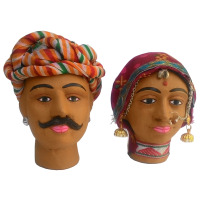 These skills of handicrafts run in the blood of Rajasthani artisans, and they follow it as sacred traditions and customs of their ancestors with equal passion and dignity, at the same time modifying their art to keep their art up to date with ever changing modern world and the aesthetic preferences of the customers. Thus their handicrafts depict a perfect mixture of traditions and modernity arise from their skilful hands and creative minds. 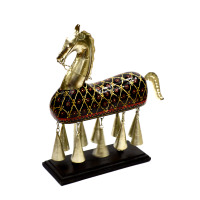 These Indian handicrafts are made of pure quality wood, oxidised metals, brass, silver, marbles and gemstones and are further beautified with delicate work of embroidery to give these handicrafts an elegant look as well as keeping its traditional essence alive. 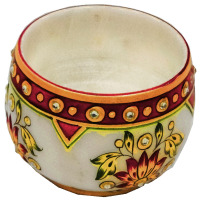 This is the reason that makes these Rajasthani handicrafts unique and highly praised and demanded items not just in India but also in the other corners of the world. Keeping in mind the importance of our environment all these items are made of eco-friendly materials and can be recycled again and again. 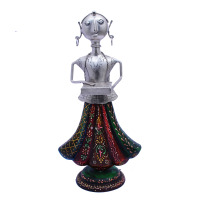 Boontoon is the most trusted and diverse network of online Rajasthani Handicrafts, which supplies best quality handmade showpieces at best prices all around the world starting from just Rs. 300. 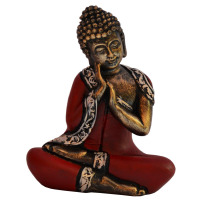 So that you can decorate your house with decorative pieces that suit your personality and give you spiritual and mental relaxation, or gift your loved ones as a sign of your love and prosperity. 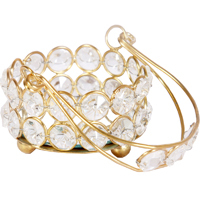 Bulk orders are also delivered not only in India but in Australia, UK, and the USA. Timely delivery and customer satisfaction are our priority.